Kanye sampled Nina Simone's "Sinnerman" and gave Talib Kweli the biggest hit of his career. The piano loop is relentless, and it's helped along by the record's reverberating drums. The bassline is subtle, but also essential to holding the production together. 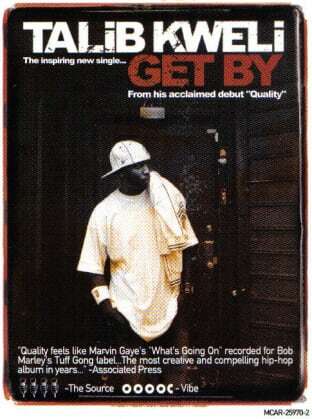 "Get By" is a timeless example of stellar beat work and mixing, and it's no surprise that Kanye was behind the boards on this one.